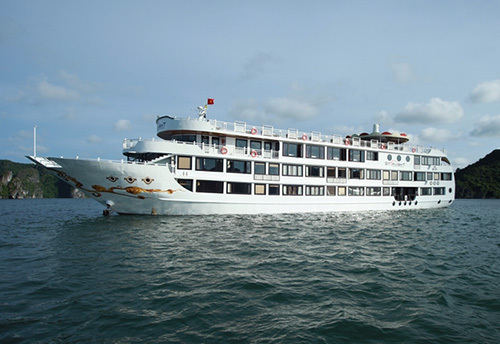 Huong Hai Sealife cruise is one of luxury cruise of Huong Hai Junk's group. 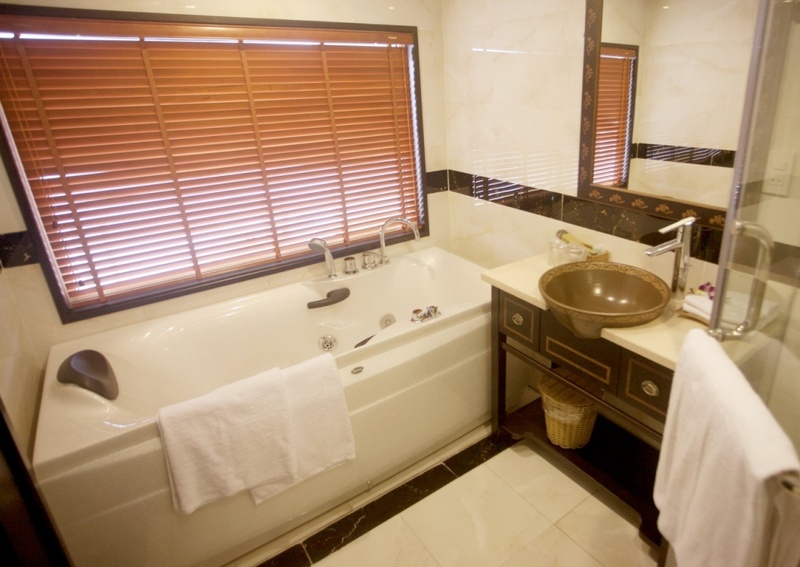 It’s launched in 2013 with 26 deluxe cabin with balcony, professional staff. 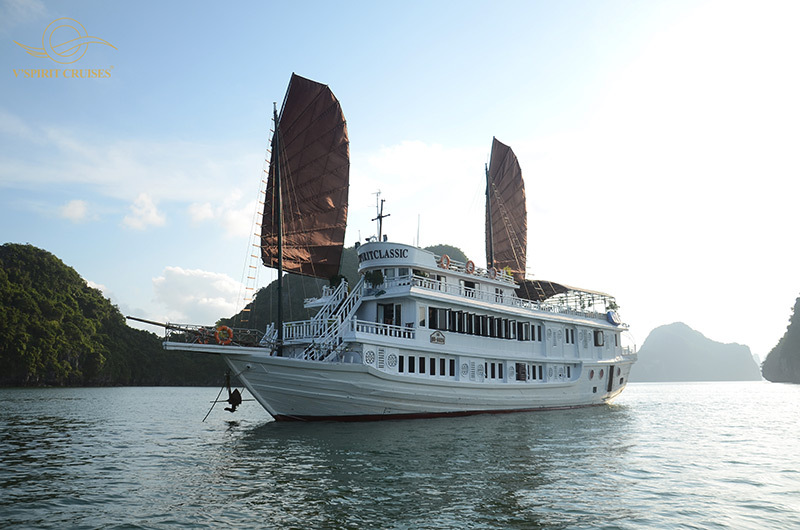 Let’s get Huong Hai Sealife cruise for a truly experiences. We reached the high standard of safety for tourists. 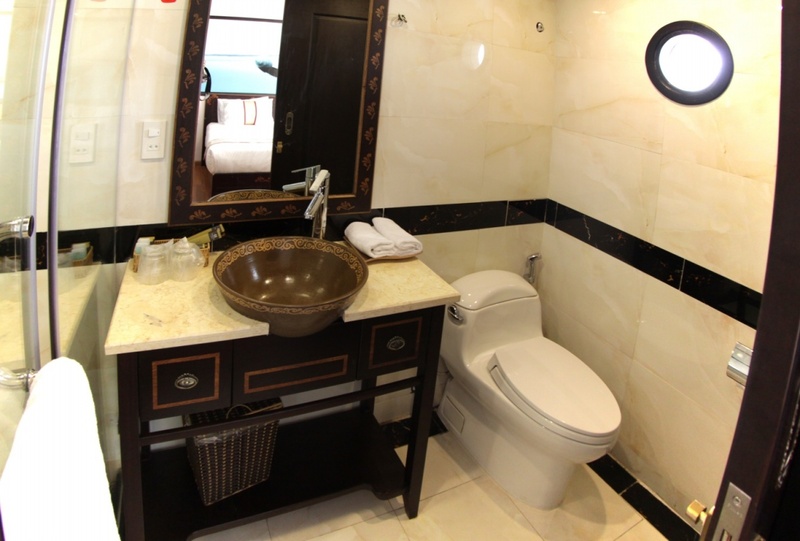 The facilities are modernly equipped, the private balcony for every room, large lounge and many attractive activities on the cruise. 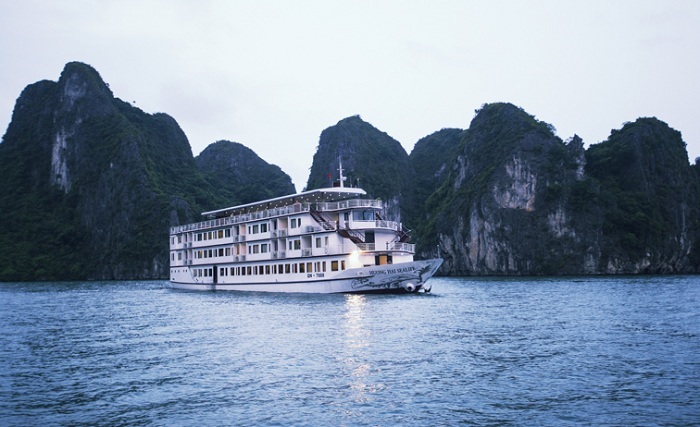 7.30 Pick you up at your hotel in Hanoi then depart from Hanoi to Halong bay by shuttle bus. 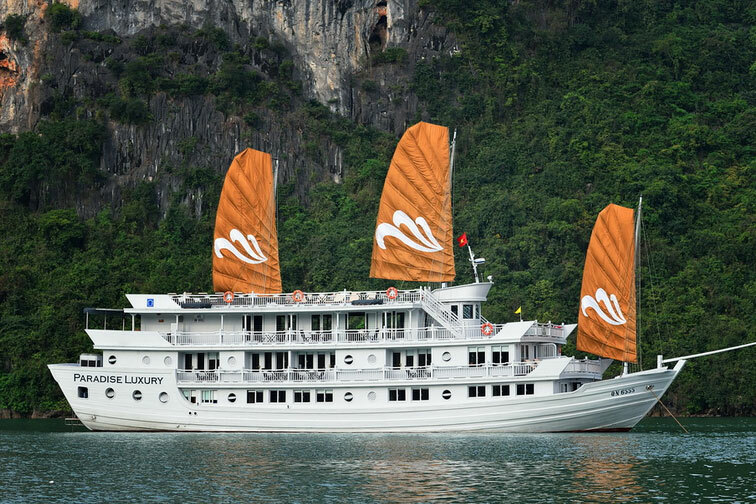 We arrive at Vinashin dock at 12.00, welcome the guests to the waiting room then cruise manager takes the guests to the cruise to start the tour. 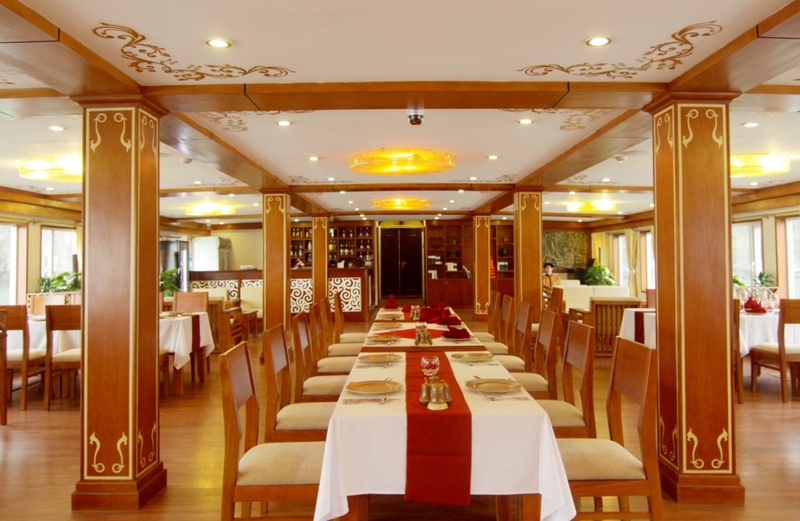 13.00 Buffet lunch is served in the restaurant at the first floor. 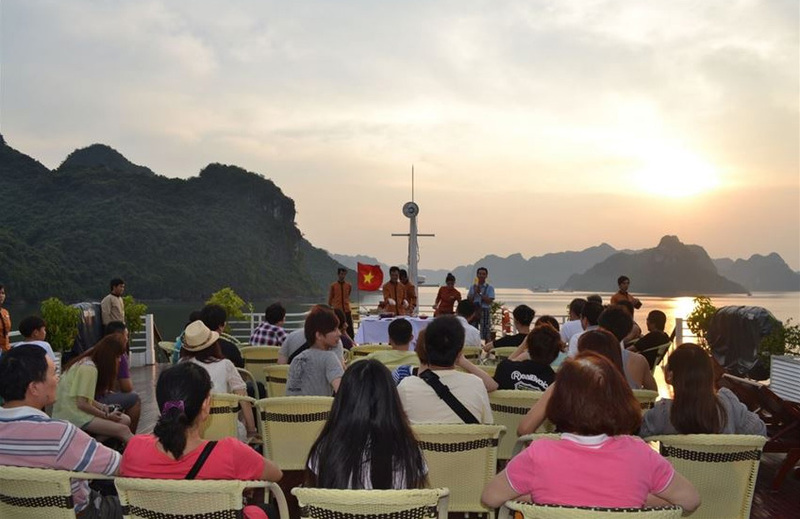 15.30 Visiting the Vung Vieng fishing village – the famous Pearl-growing village and the fishing tanks of the local people by rowing boat of Halong area. Back to the cruise by tender to relax or we will Enjoy Happy hour with special menu drinks: cocktail, mocktail and mixed drinks. 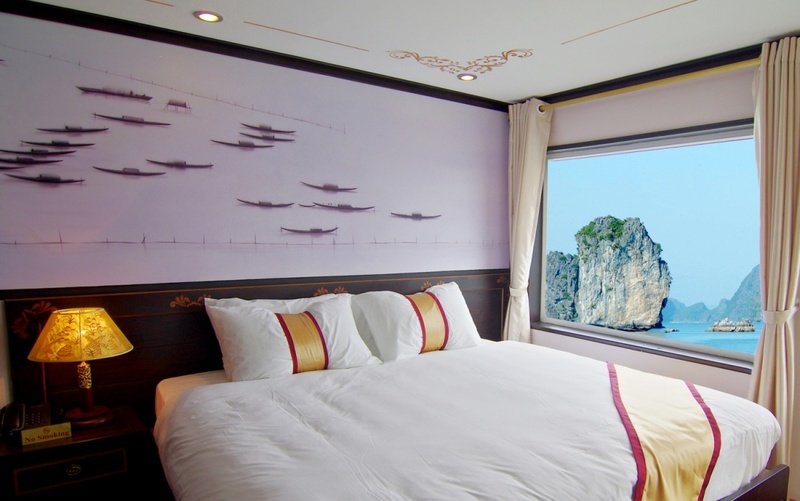 16.35 sail from the Vung Vieng fishing village to Cong Do sleeping area. 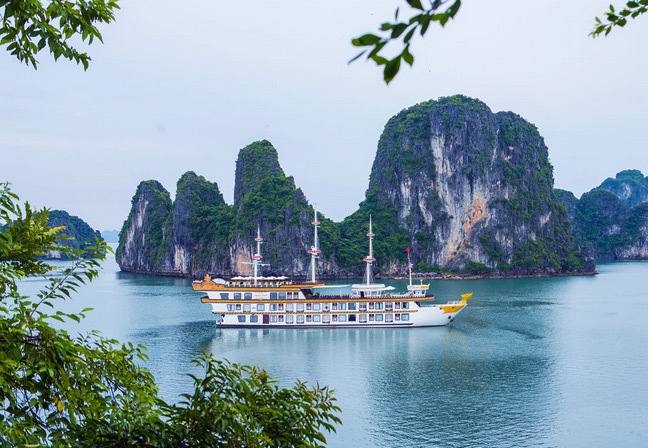 In here we can treasure the wonderful beauty of Bai Tu Long Bay at the sunset, admire the striking islands and islets, relax and savor the fresh and peaceful atmosphere which could hardly be found in land. 17. 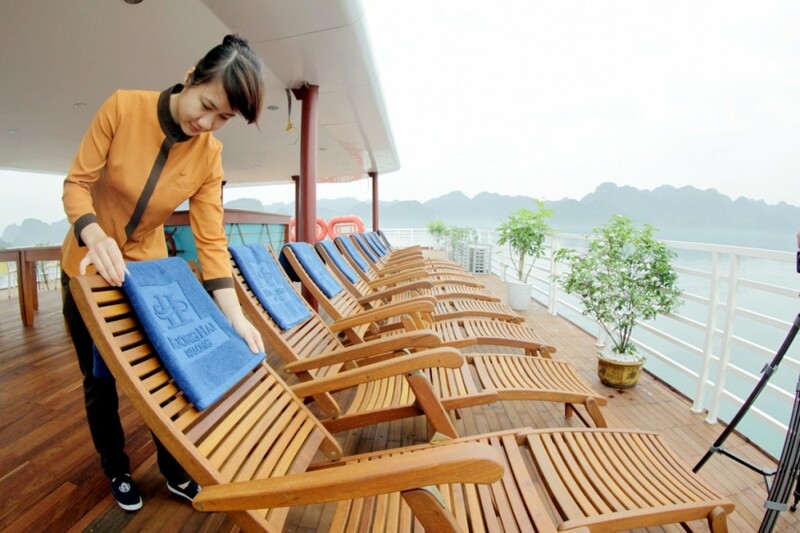 20 enjoy the kayaking activities here (the kayaking fee is not included in the price) or relax on the cruise. 18.15 Attend our chef’s cooking demonstration and try your skills in the art of traditional Vietnamese cooking (spring roll). 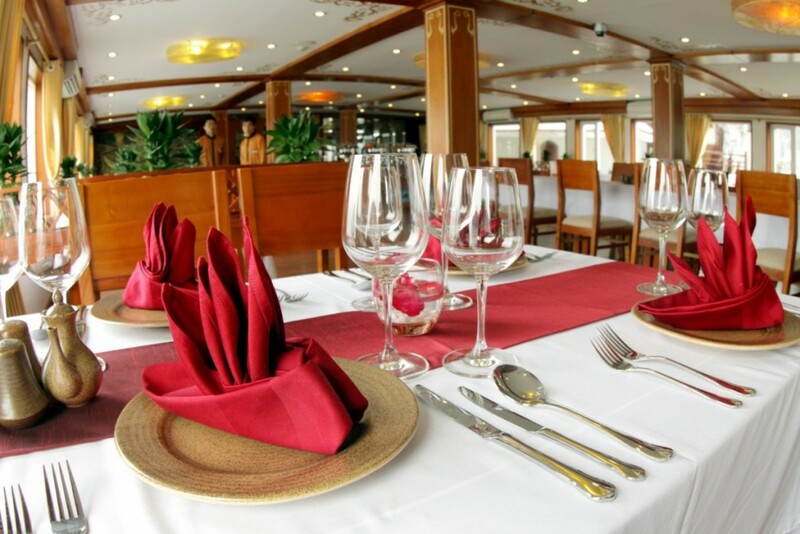 19.00 Gala Elegant set dinner served onboard. 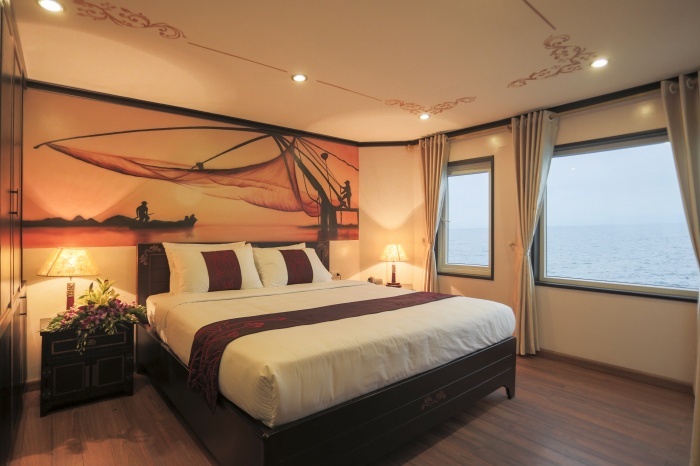 You can enjoy the charm of Bai Tu Long Bay at night. 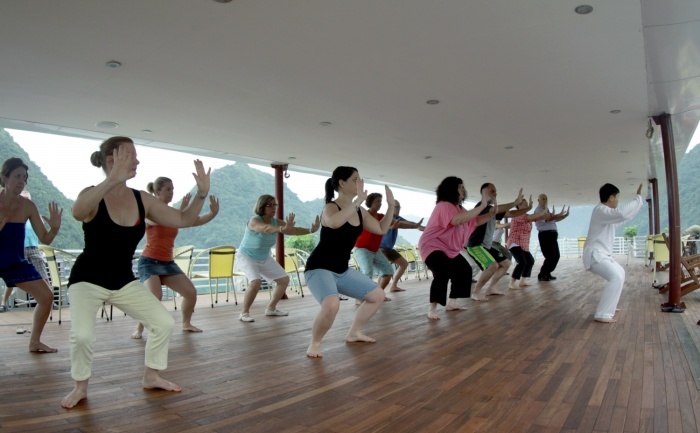 Early morning 6.30 tai chi session on the sundeck then having breakfast. 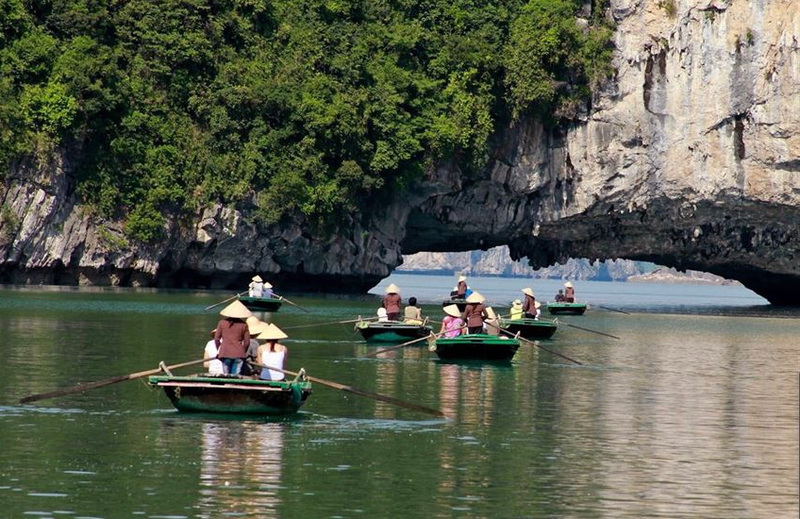 7.45-8.45 Explore the area of Hon Co Island and Co Cave (Grass Cave, also known as Thien Canh Son). 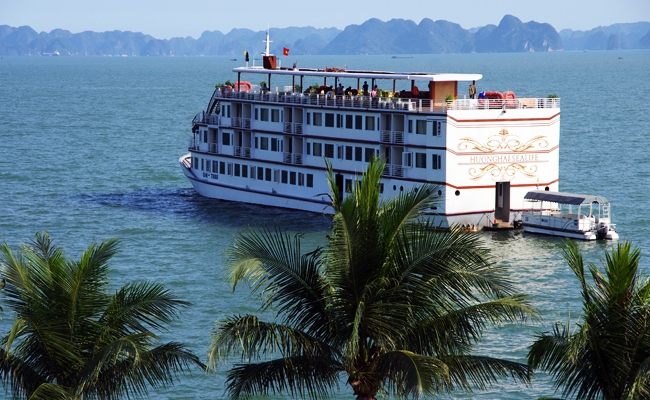 See panorama view of Bai Tu Long bay from above, as well as the glorious long white sand of Hon Co Island. We relax on the white sand beach of Co Island, enjoy swimming on the area of Co Island. With the long white sand beaches and the crystal-like green water, definitely. 9.15 package the luggage and check out. 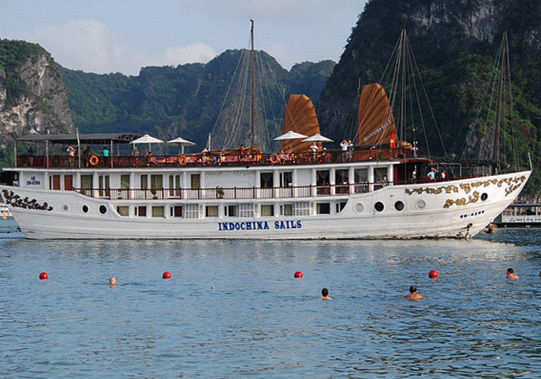 9.30-10.30 the light lunch (brunch) is served while the cruise departs from Hon Co Island back to Vinashin dock. 11.15 disembarkation where your driver waits to take you back to your Hanoi. 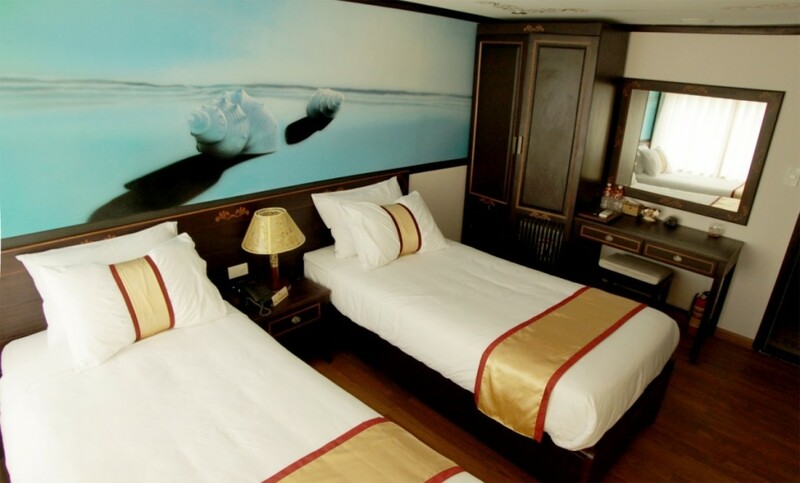 We arrive Hanoi around 16.00 -16.30 pm. Local rowing boat, Fishing equipment. 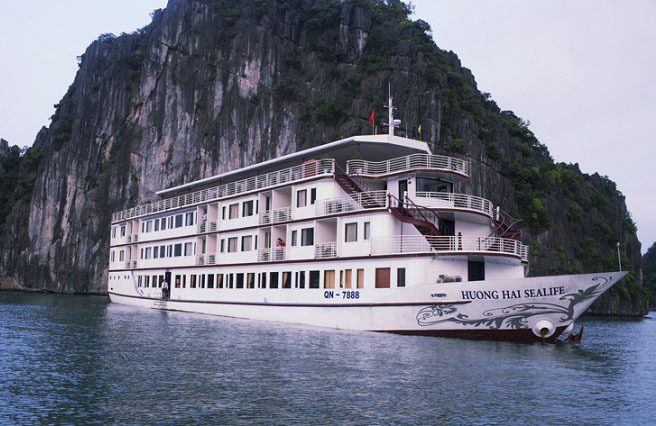 Huong Hai Sealife Halong bay Cruise Onboard insurance.